Winter is a very fun season and I though it was time to do some fun math pages to add to the Snow Learning Pack! As my girls get older we need older materials to learn at home with. I’m always looking for ways to work on math facts that would be fun! This is a fun addition for the original pack. This Snow Learning Pack Math Update has a lot of older age work. This set works from Kindergarten to third grade. This pack contains: numbers, skip counting, addition, subtraction, multiplication and division work. This is great for those that just need a little something extra. This is also a great addition to the set from last year. It just adds a few more math pages for kids to work on. 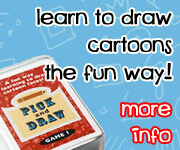 Be sure to check out the original pack for younger age activities: Tot through First Grade. Two books we will be using with this theme are: Snow (Sunburst Books) and Snow (I Can Read It All By Myself) . Click here to get the Snow Learning Pack Update: Math Activities. This entry was posted in math, printable pack and tagged free, math, pritnables, snow, winter. Bookmark the permalink.